On September 28, 2016, Marcello Celli, 29, fell off of a balcony four stories tall and suffered multiple debilitating injuries. 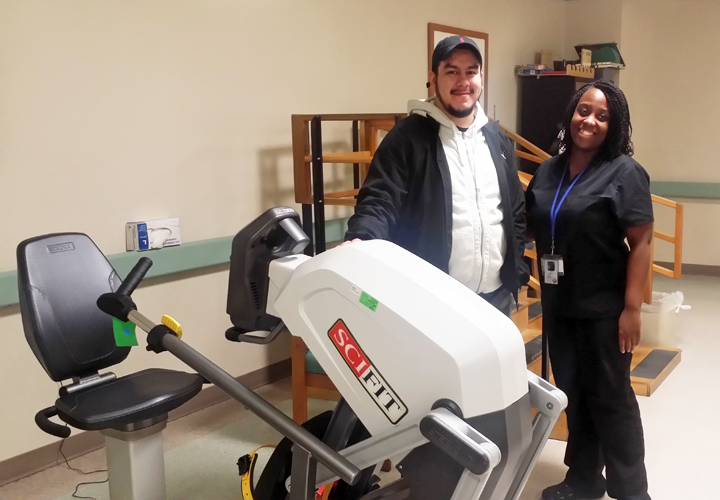 After spending a month in the hospital and undergoing many surgeries, Celli sought a rehabilitation center to help him recover. Unfortunately, this process proved to be difficult. Celli was denied time and again by countless facilities due to his age, until he learned about Silvercrest. “I was told I was considered ‘too young’ and ‘not an appropriate candidate,’” says Mr. Celli. It was not until he came across Silvercrest that Mr. Celli was able to receive the care he needed. “Silvercrest welcomed me with open arms and I was treated as if I was staying at a five-star hotel!” reports Mr. Celli. “The staff took care of all my needs, including my laundry service and meal preferences, and the night nurses even made sure to leave water by my bedside so I would never be left thirsty,” he adds. After making substantial progress, Mr. Celli was allowed to leave the premises as he pleased. “That was great, because it allowed me to truly feel free of my disability,” he explains. Mr. Celli made vast improvements thanks to the quality care he received at Silvercrest. He was discharged back to the community in less than a month. Mr. Celli uses Silvercrest’s outpatient rehabilitation services to ensure his success as he continues on his journey to a full recovery.